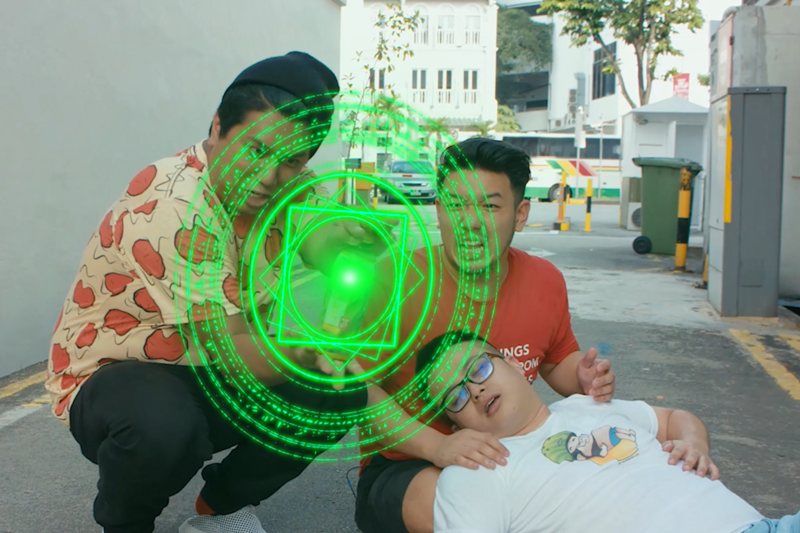 So… 394875638 calories, 4324 meals, and too many stars to count, we started this episode in an insane panic because the Food King has died (or so we think) till Dee Kosh comes in and saves the day with his all-powerful, time-reversing, (spoiler alert) – gem stone!!! (Bottle of Pokka Green Tea) [Pokka sponsor us]. We decide to finally make some healthy changes for at least one episode with the 2 recommendations from Food King Ryan himself and 1 surprising last find from yours truly. 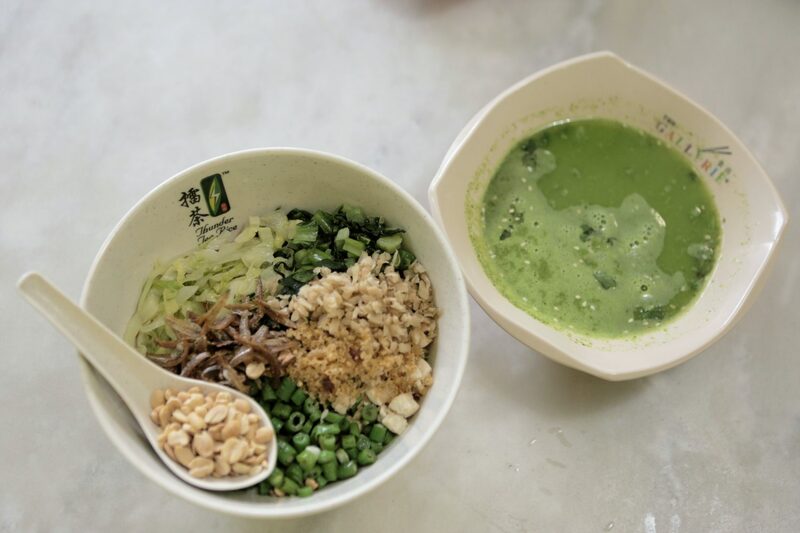 The first place, for the third time on Food King, the very controversial Thunder Tea Rice from a shop with a name that you couldn’t miss (spoiler alert!) 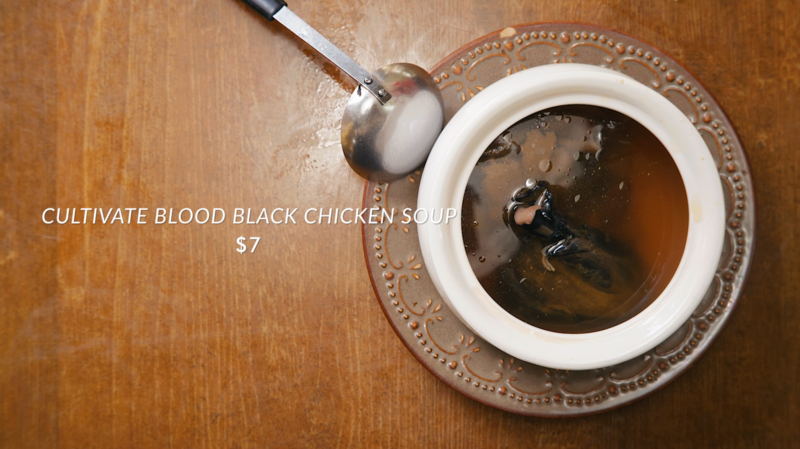 – Thunder Tea Rice (Side-note, it is next to one of my favourite watering holes Cider Pit). I will be straightforward – Ryan loves it; Dee and I struggle. Unlike the vegetarian ones we’ve had, we’ve got an umami vistor from the ikan bilis which helps elevate the otherwise mild dish of a choice of white or brown rice, and A LOT of other vegetables that are supposedly good for you. 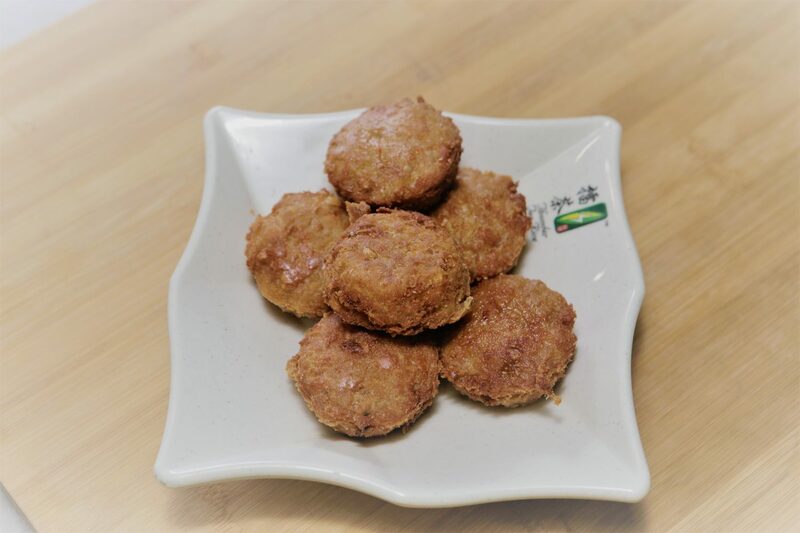 If you’re having to endure a craving of a friend, or simply are curious, a must-have alongside the signature TTR is the delicious Chicken Patties ($6.50), and the Tawkwa Beancurd ($1.40/piece)! The meal would have been incomplete without it!!! Chicken Patties ($6.50), So Darn Good! PLEASE STANDBY FOR A RUDE INTERMISSION OF ME DANCING, A DARE FOR $50 GIVEN BY RYAN WHICH I SO GLADLY ACCEPTED. 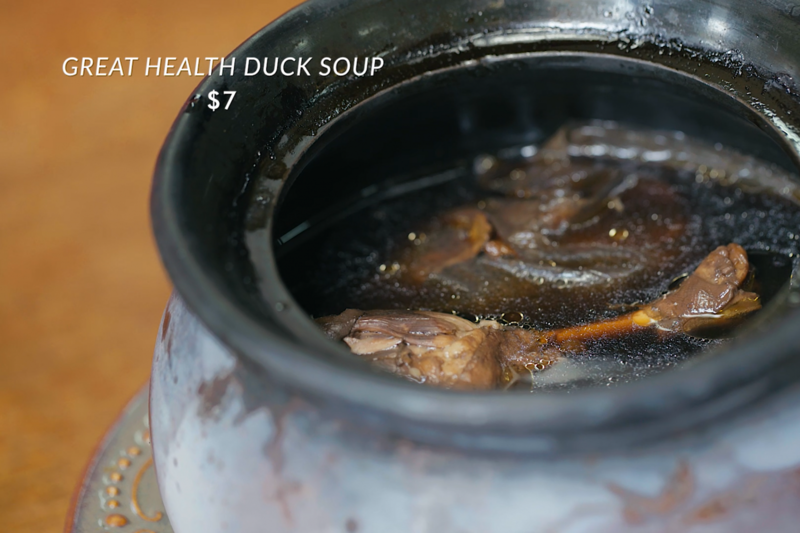 Next up on the health-train is Earth Jar Treasure, and as its name suggests, giant earthen jars were involved in the making of these herbal soups. 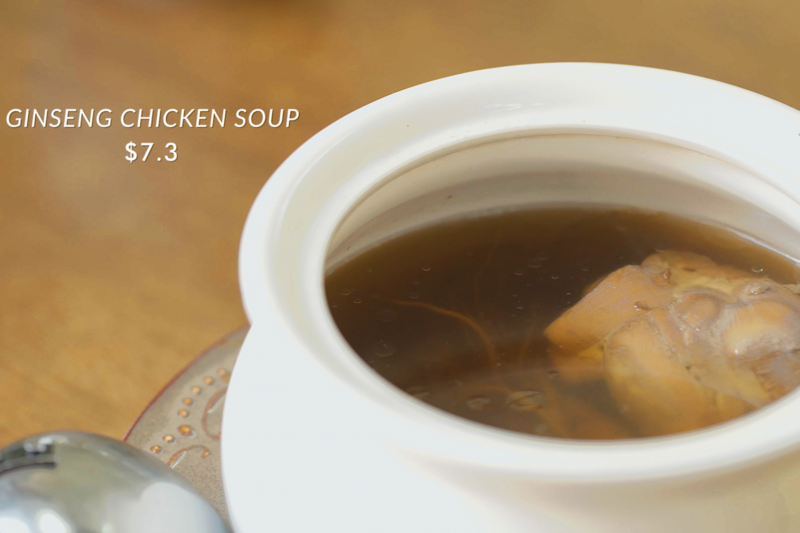 We had a variety of soups with traditional Chinese medicinal properties that are said to be good for you. I wouldn’t know the alleged functions and boosts and shall spare you the details by simply trusting in the same people who made an effort to boil their soup in an earthen jar the size of a man-child. 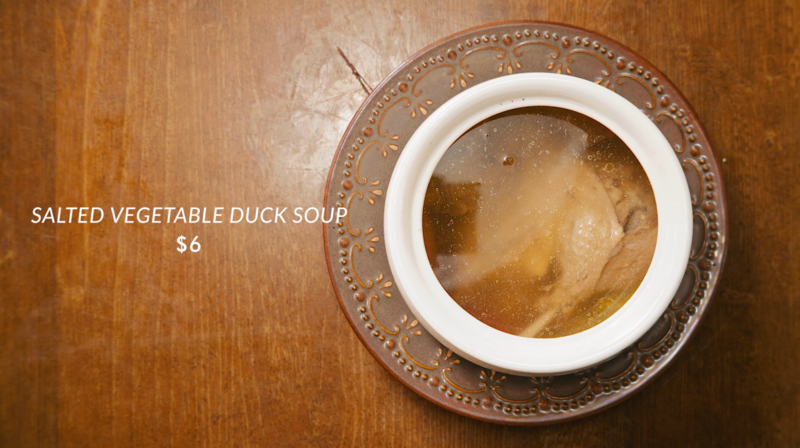 We had the Great Health Duck Soup ($7), Cultivate Blood Black Chicken Soup ($7), Salted Vegetable Duck Soup ($6), and the Ginseng Chicken Soup ($7.30)! All were potent, delicious, and made healthy-eating a lot easier. Now, the grand finale was certainly worth the wait. The Ginseng Herbal Chicken ($12) was one of, if not, the best herbal chickens we’ve had. It was tender, moist and the herbal sauce/soup/broth was very tasty and bursting with the aromas of the herbs and tonic! Pro-Tip: Order the cabbage rice, very tasty! 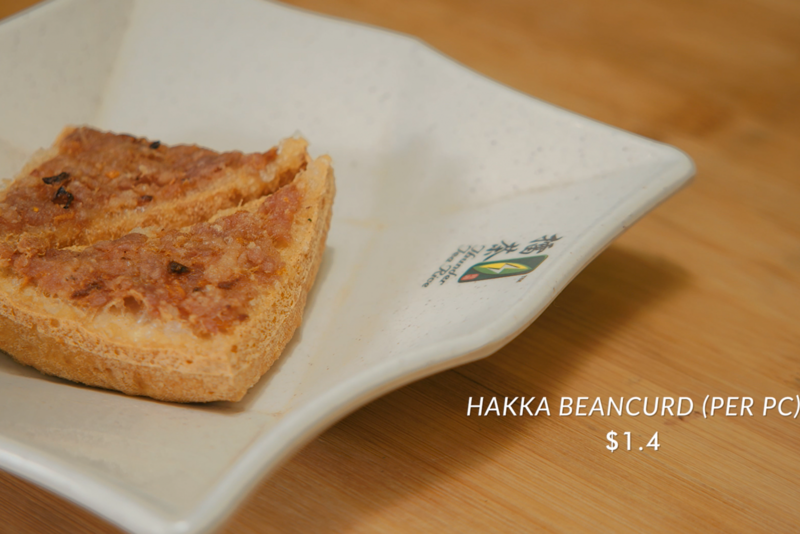 Ratings: 3 Stars, Food King Good! 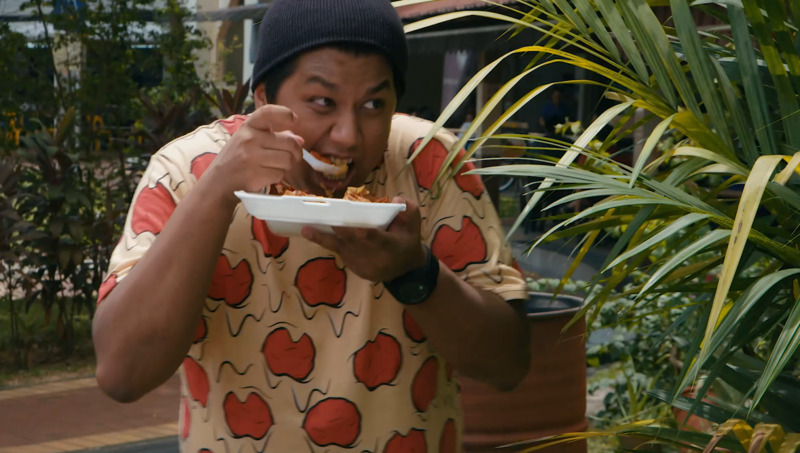 WE INTERRUPT YOUR VIEWING TO FIND DEE KOSH BINGE EATING CAI FAN WITH SWEET & SOUR PORK BECAUSE HE COULDN’T DEAL WITH HEALTHY FOOD NO MORE! Finally, we leave the Chinese parts of life to get in touch with our inner L.A. girls~~~ We are here at Afterglow, where 80% of their menu is actually raw vegan. Sheesh. Now what constitutes as raw? Food prepared under 45 degrees Celsius so that the enzymes of the food are not denatured. 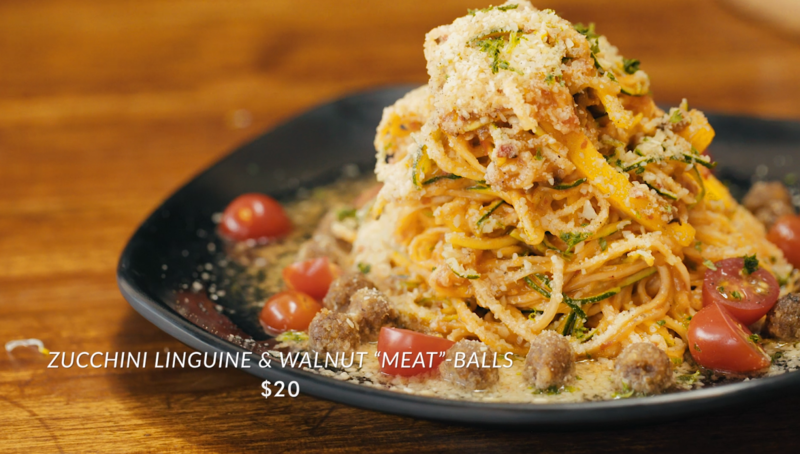 We started our raw-vegan adventure with the Zucchini Linguine with Walnut Meatballs ($20) which was refreshing and surprisingly hearty from the NUT CHEESE. It was indeed reminiscent of a Bologna just without the carbs! 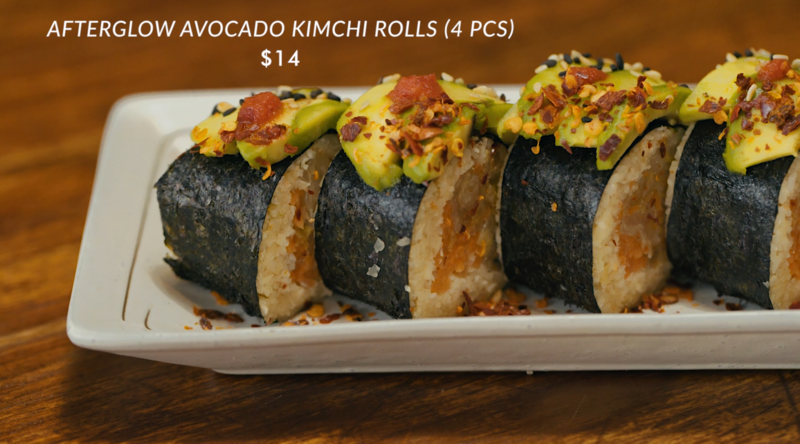 Next up, we had the Afterglow Avocado Kimchi Rolls ($14) which Dee Kosh says he prefers than actual sushi. I know, I was shocked also. It contains almond rice as its base, and a homemade Kimchi! 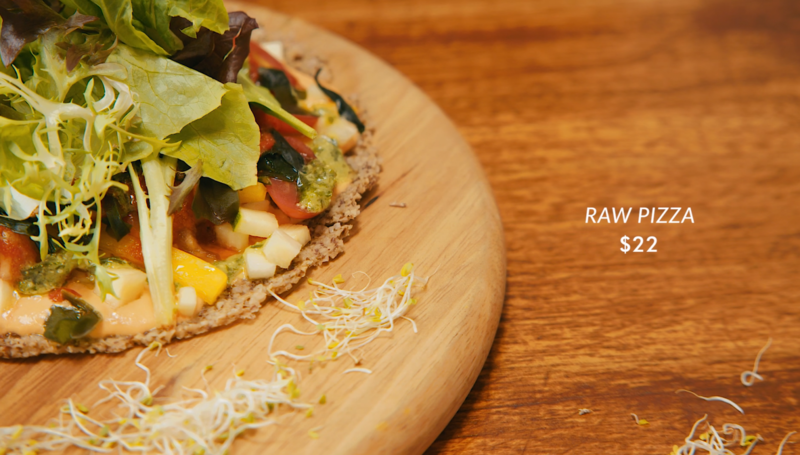 Next in line was my personal favourite, the RAW PIZZA ($22) which was absolutely divine! So tasty with so many textures, and nutrient rich! Finally, we’ve got the Chocolate Caramel Fudge Cake ($12.50) which was made from avocado, cocoa, and sweetness that comes from honey and dates! All natural. This was rich, creamy and pretty decadent even though there no sugar. Overall, Afterglow was a thoroughly interesting experience with specialized food that definitely isn’t for everyone (*cough RYAN cough*) but was still well-made, thought through, and dare we say, delicious? Where else do you go eat healthy? Let us know and for goodness sake’ can you go watch our episode already? !